We were delighted to interview Michael Jarvis of The Clothworkers’ Company (organisers of the Charity Governance Awards). 1. What are the Charity Governance Awards? 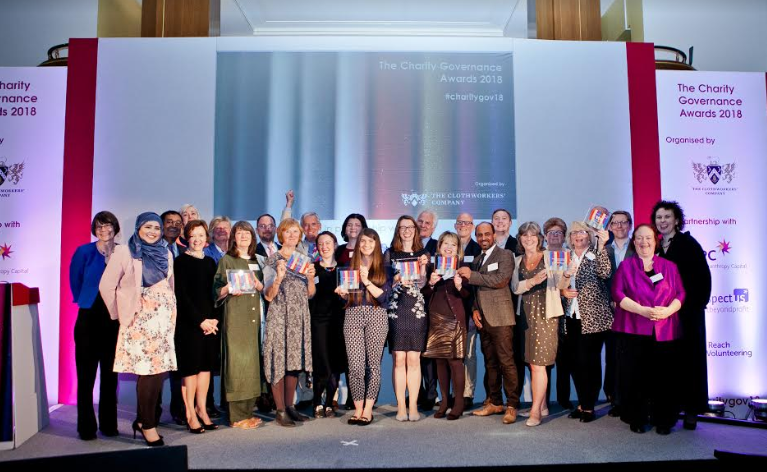 The Charity Governance Awards, now in their fourth year, provide an exciting opportunity to celebrate outstanding governance in charities of all sizes. We want to shine a light on really successful charity boards – all too often the public hear about charity governance only when it has failed, which weakens public trust in the third sector as a whole despite the inspiring work many trustees are doing. The hard work, dedication, ambition and innovation shown by our award-winning trustee boards provide real-life lessons for the entire charity sector, and in turn have a positive impact on the public at large. There are seven categories to enter – with the deadline, of 22 January 2019, fast approaching. Full details and the entry form can be found at www.charitygovernanceawards.co.uk. The winning organisation in each category receives an unrestricted grant of £5,000. 2. Why is digital an important issue for charity boards? Digital can have a profoundly positive effect on how a charity delivers its objectives, but your own Charity Digital Skills Report revealed cause for concern: 69% of charities cite their board’s digital skills as low or having room for improvement; while 45% of charities don’t have a digital strategy. We want to know: which charities are getting it right? How are they reflecting the importance of digital at board level, how have they successfully integrated digital practice, and what positive impact is it making to their vital work? For anyone involved with one of those charities, I urge you to enter our ‘Embracing Digital’ category before 22 January. You have a lot to share with the 69% who may need inspiration and practical advice from their contemporaries in the sector. 3. Tell us about the ‘Embracing Digital’ category and what the judges are looking for. Can you give us some examples of previous winners and what they did to impress the panel? The ‘Embracing Digital’ award will recognise a board which has successfully embraced the opportunities that digital offers, and harnessed them to innovate or improve its charity’s activities. Previous winners of this category are Bliss (in 2018) and Asthma UK (inaugural winners in 2017). Bliss demonstrated that its new digital strategy was driven by and supported from board level. Data and insight from their beneficiaries informed the board’s strategy, and the trustees committed time and expertise to add real value and support to the executive team, not just providing oversight. Bliss also provided evidence for success. For example, website visitor numbers increased by more than 30% in a year, with 92% of users reporting that they found the content useful. Their social media approach helped them reach more people, and they also provided proof that they effectively converted clicks into donations. The Awards website has more information on what made both Bliss and Asthma UK stand out as winners (including short interviews with the winners). 4. If you could encourage every charity trustee to do 1 thing differently to embrace digital, what would that be? We’d advise them to follow best practice from The Charity Digital Code of Practice e.g Identify the digital skills gaps on the board (possibly as a wider assessment of skills gaps) with a view to recruiting new trustees who can contribute meaningfully on this front as part of the charity’s strategic planning and oversight roles. The hope and expectation would be that the new members would have the capacity and character to influence and inform the rest of the board while also lending support to management to assess the charity’s ongoing basic digital needs. Interestingly, last year’s winners, Bliss, showed that digital was an integral part of their operational strategy – as opposed to being considered in a silo, like a tool to be employed for discrete projects. Enter the Charity Governance Awards.